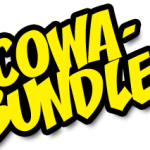 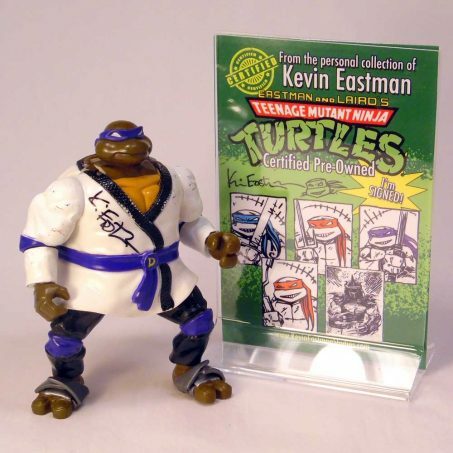 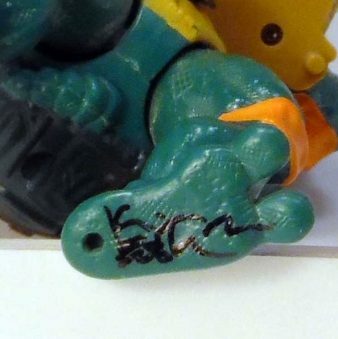 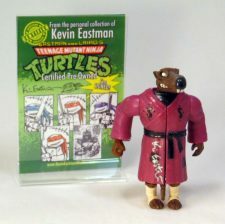 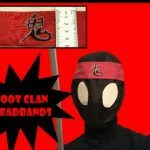 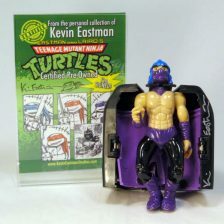 April 18, 2019 Kevin E.
The Signed Action Figures Department is busting at the seams with TOTALLY TURTLEY bargains. 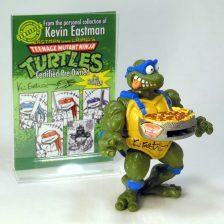 As we continue to Shellebrate 35 Years of all things Turtles we have added a number of Signed Toys for just $35. These $35 toys are accompanied by a backer plate and table top stand. 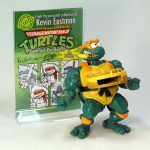 I often get asked about my personal TMNT toy collection. 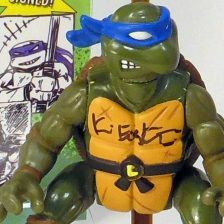 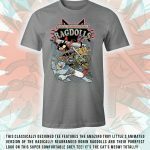 I love all these Radically, Goofy, Whacky, Rock’n Rollin’, Mutated, Kick-Action, Pizza Powered figures AND I am making some of them available for you. 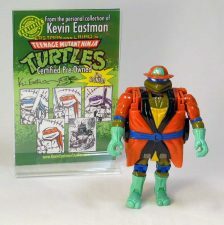 These are all played with toys from my own collection, I signed them and had fun adding weaponry (not always historical accurate – LOL). 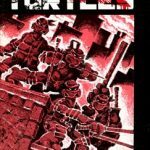 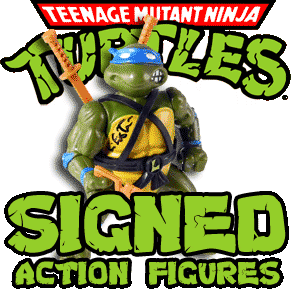 **Please note that the $35 signed toys are NOT eligible for Fan Club Membership discounts but other signed TMNT toys and vignettes in this department are.